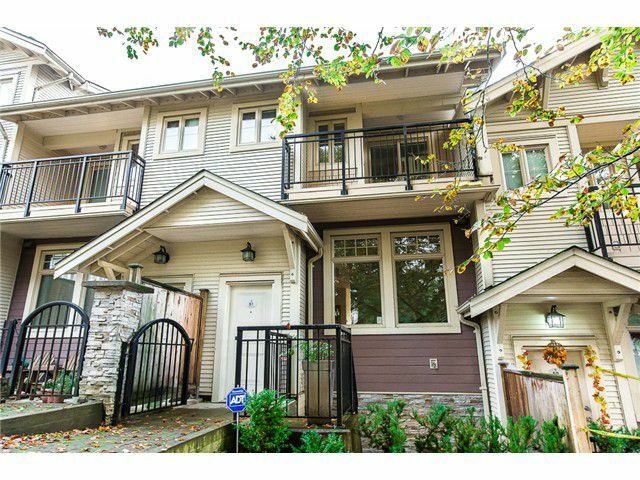 7 year old, 2 level + tandem garage, 1501 sf, 3 bdrm, 2.5 bath Townhome in "Victoria Hill" facing park & close to other parks, shopping, schools & transit. This lovely home features 9' ceilings on main, open plan, kitchen with wood cabinets, granite counters & SS applcs, engineered hdwd floors, electric f/p, 3 bdrms up, master bdrm w/full ensuite & W/I closet. 3 balconies & small yard area. Complex is well maint'd & managed & has access to Boiler House w/full gym, theatre, games room, basketball court & more. Pets & rentals ok.